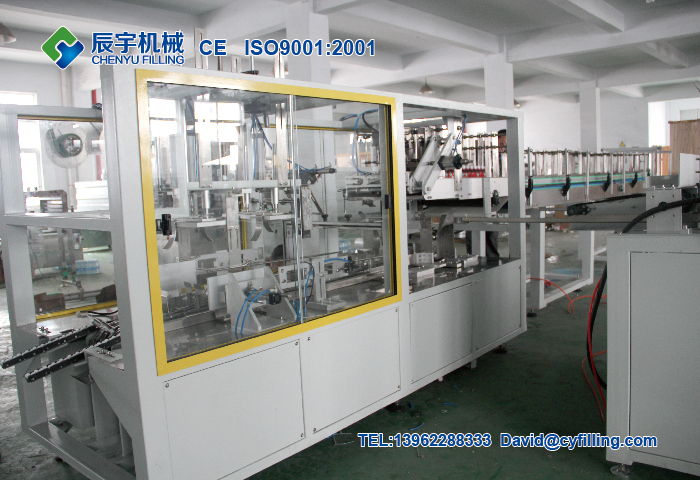 ﻿ Secondary Packaging Machine | water filling machine|water bottling machine|bottle filling machine|Suzhou CHENYU Packing Machinery Co., Ltd.
As the machiath uses a combination of cutting-edge technologies,and high-performance components-ultra small intertia servo motor,the system by Simens programmable logic controller professionl closed-loop control of servo motors,the use of advanced human-computer interface system implement human and computer’s conversation,during the host was rushed to the label speed control process,it can reach 0.01m/min accuracy class,rather than the general machiney of 1m/min,a single machine in this regard to imprve both the accuracy class;and an this side,the machine use ultra-small inerta servo motor,the speed between 0.5-40m/minute can be adjusted number under the large-scaie to meet your production line speed,so an to achiebe real high-speed labeling. 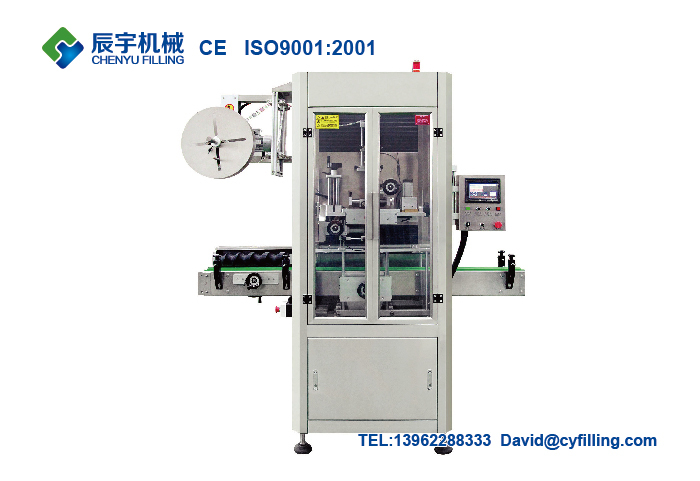 Automatic hot melt glue labeling machine is suitable for sticking the continuous roll labels,using gluing methods in small glue consumption,low running capital,the fastest labeling speed could reach 30000 bottles per hour. 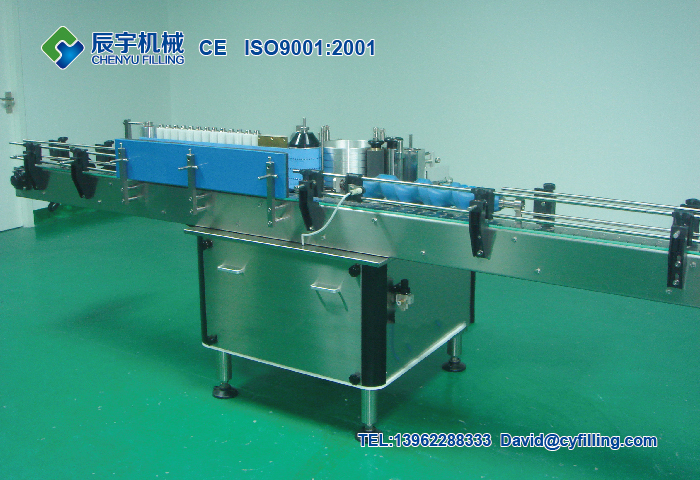 Automatic sleeve labeling machine to meet the requirement of our users’ production lines,Chenyu beverage packaging machinery company research & development department has made research and improvement with the great care to manufacture this product.The highest capacity could be reach 700 bottles per minute.It also employs international advanced technology and applied to food & beverage industries such as fruit juice,tea drink,diary products,pure water,condiments,beer and sports drink. 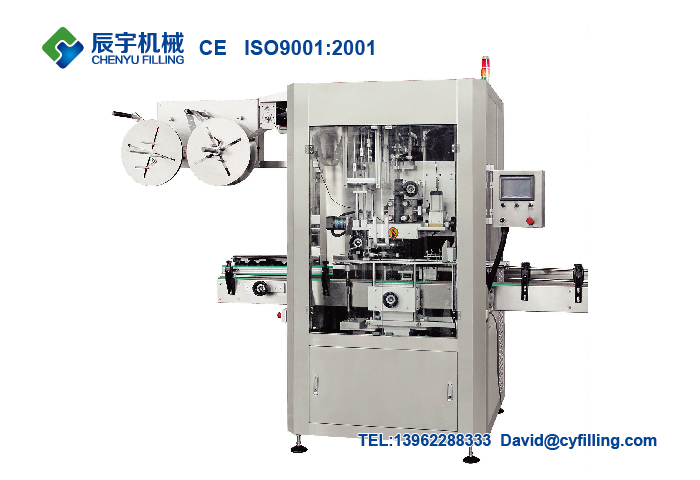 PE film shrink wrapper machine specially designed and manufactured for the high speed packing requirement for drinks,such as pure water,beverage,fruit juice,milk product.During the product forward conveying process,it can form group packages automatically,so as to save the time and improve packing effectiveness.High level machine adopts touch screen operating panel,friendly interface,easy to adjust the parameter,convenient for the exchange and operate betweem hunman and machine.It is the best option during the middle speed film shrink packing machine in doemestic industry. 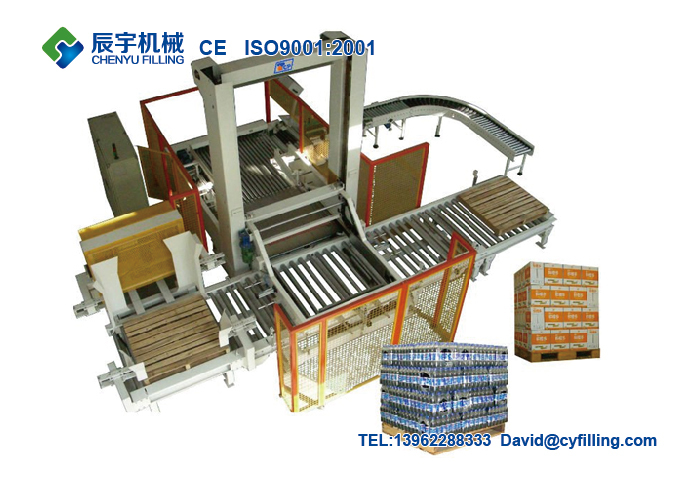 Lineal type PE film shrink wrapper machine specially designed for packaging production line of beer, beverage, pure water, fruit juice, dairy products, etc. 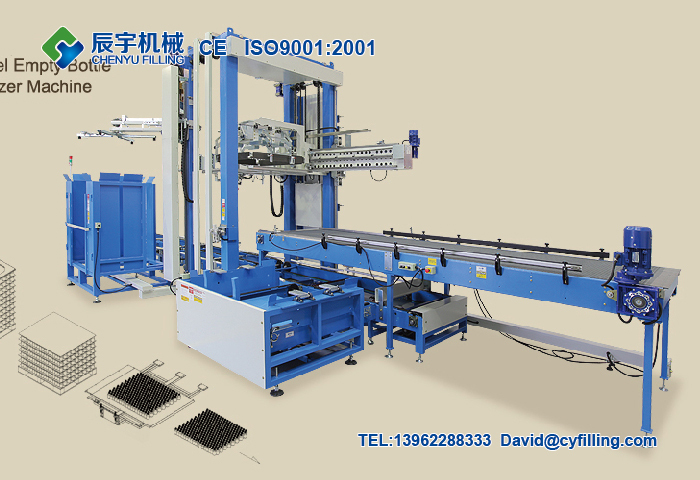 With full automatic functions of bottle transfer and arrange, membrane packing, sealing and cut, shrinkage, cooling and shaping, etc. Using advanced constant temperature membrane heat binding technology in the world with clear and secure seal. The quick seal cooling structure guarantee that the seal has a higher strength even if under high speed production condition. 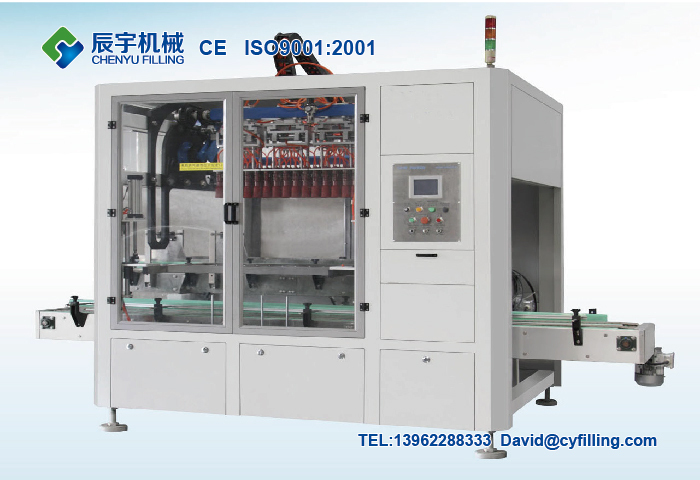 Adopt with PLC automatic program circulation control with stable and reliable performance. The inductive switch controls the membrane transfer system to reliably adjust and control the membrane transfer length with less loss. All the transfer system is controlled by frequency changing devices. With stable and smooth transfer speed. Unique thermal passage with 2 sets of centrifugal thermal air circulation system that has an equal heat distribution with beautiful and secure shrinkage effect. 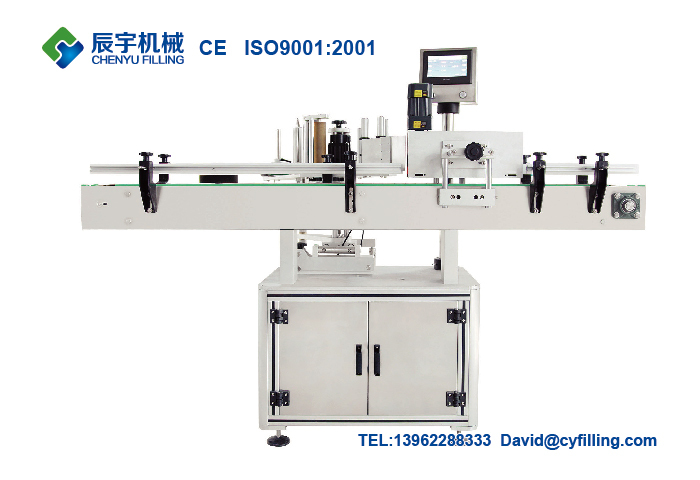 Automatic lineal type PE film shrink wrapper machine specially designed for packaging production line of beer, beverage, pure water, fruit juice, dairy products, etc. 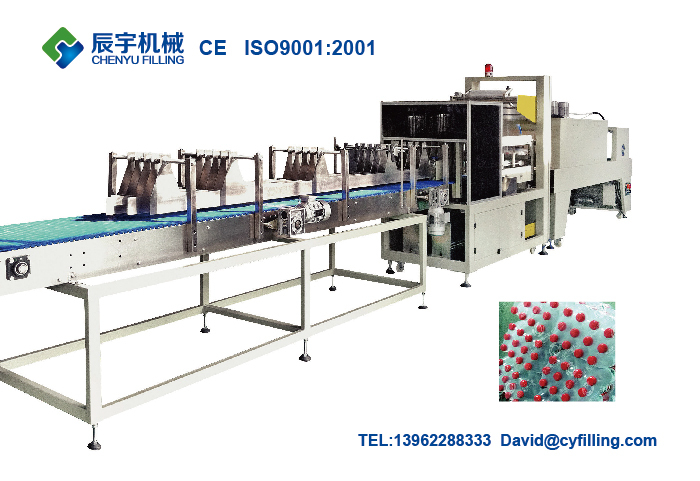 With full automatic functions of bottle transfer and arrange, membrane packing, sealing and cut, shrinkage, cooling and shaping, etc. Using advanced constant temperature membrane heat binding technology in the world with clear and secure seal. The quick seal cooling structure guarantee that the seal has a higher strength even if under high speed production condition. 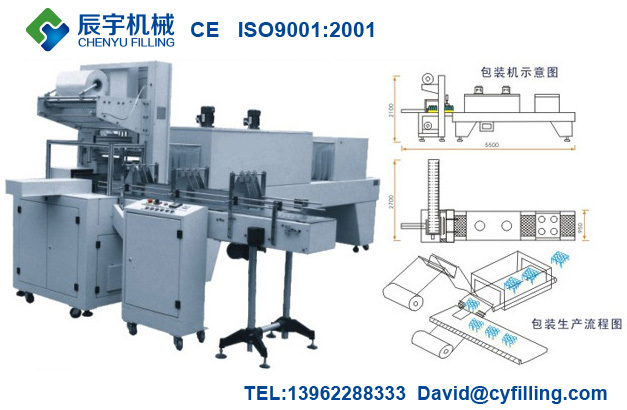 Adopt with PLC automatic program circulation control with stable and reliable performance. The inductive switch controls the membrane transfer system to reliably adjust and control the membrane transfer length with less loss. All the transfer system is controlled by frequency changing devices. With stable and smooth transfer speed. Unique thermal passage with 2 sets of centrifugal thermal air circulation system that has an equal heat distribution with beautiful and secure shrinkage effect. 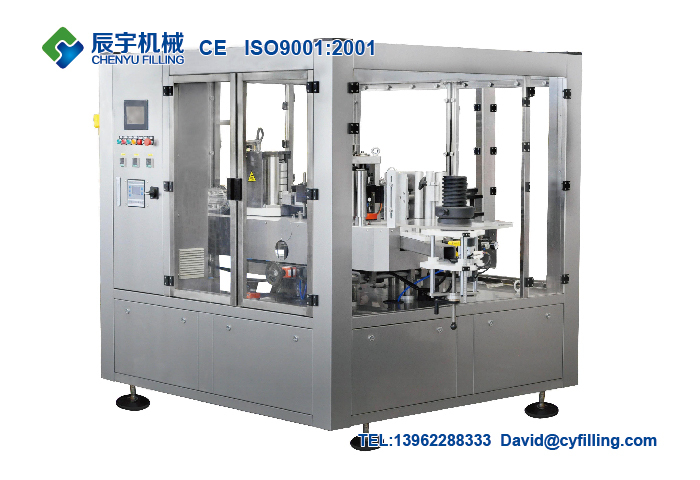 Specially designed and manufactured for the high speed packing requirement for drinks,such as pure water,beverage,fruit juice,milk product.During the product forward conveying process,it can form group packages automatically,so as to save the time and improve packing effectiveness.High level machine adopts touch screen operating panel,friendly interface,easy to adjust the parameter,convenient for the exchange and operate betweem hunman and machine.It is the best option during the middle speed film shrink packing machine in doemestic industry. 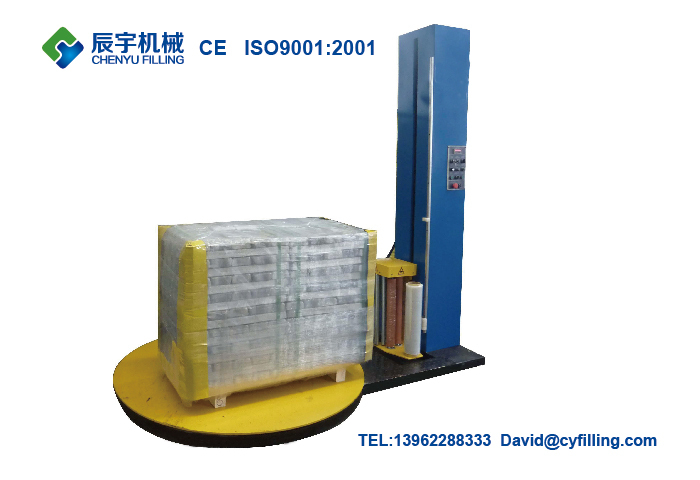 It is automatic reset table,ensure the pallet enter and exit correctly.Adopts programmed in ventor control,performance reliable,operating easily,automatic test product height,suitable for heavier pallet.